Sergio Perez was awarded a five place grid penalty in the next race by the stewards for his part in yesterday’s collision with Felipe Massa. 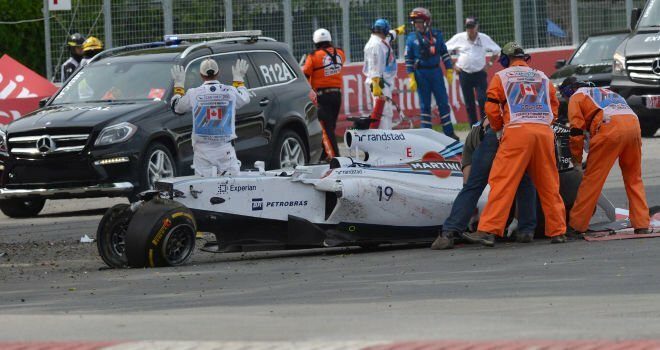 The two collided into turn one on the final lap of the Canadian Grand Prix as Felipe Massa tried to squeeze past the Mexican as he raced hard for a last-minute podium position. The stewards felt that Force India’s Perez moved across the racing line under braking which caused the crash, and issued the penalty consequently. Massa is livid with the Mexican and the stewards lax decision to award him just a five place penalty. Massa was taken aback by Perez’s supposedly careless attitude to the collision. “It’s not the first time he turned on someone under braking. It’s not the first time, he’s done it many times. He said nothing, he just turned and he laughed. He believes that the decision taken by the stewards was not strong enough, considering what the outcome could have been after Sunday’s accident. “They have rules for every accident and the positions, I don’t know how it works. But for me it’s not enough”. 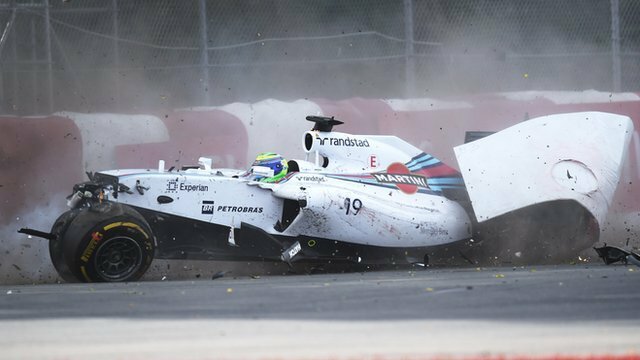 Massa denies any responsibility for the accident and his aggressive push into turn one, stating that he was trying to overtake the Force India after he had exited slowly from the final chicane after being passed by Vettel.